When maintenance technicians replace linear position sensors (also known as probes or wands) from hydraulic cylinders, it can leave a terrible mess, waste hydraulic oils, and expose the individual to harmful hot fluids. Also, the change out process can expose the hydraulic system to unwanted contaminants. After the sensor replacement has been completed, there can also be more work yet to do during the outage such as replacing fluids and air-bleeding cylinders. 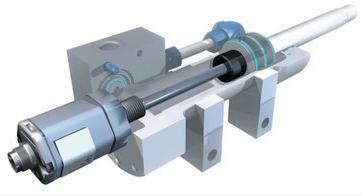 Hydraulic linear position sensors with field-replaceable electronics/sensing elements eliminate these concerns. Such sensors, so-called Rapid Replacement Module (RRM) sensors, allow the “guts” of the sensor to be replaced, while the stainless steel pressure tube remains in the cylinder. The hydraulic seal is never compromised. That means that during the replacement process there is no danger of oil spillage and no need for environmental containment procedures. There is also no need to bleed air from the hydraulic system and no danger of dirt or wood debris entering the open hydraulic port. Finally, there is no danger of repair personnel getting burned by hot oil. The RRM is an option for Balluff’s BTL7 Z/B Rod Series used in applications for the lumber industry, plastic injection and blow molding, tire and rubber manufacturing, stamping presses, die casting, and all types of automated machinery where a continuous, absolute position signal is required. Applications in industries such as Oil & Gas and Process Control are especially critical when it comes to downtime. For these applications, this Rapid Replacement Module capability is especially advantageous. The video below shows a demonstration of the Rapid Replacement Module in action. Our modern technological society owes a lot to the scientific work and inspiration of a 17th-century French mathematician and physicist, Blaise Pascal. 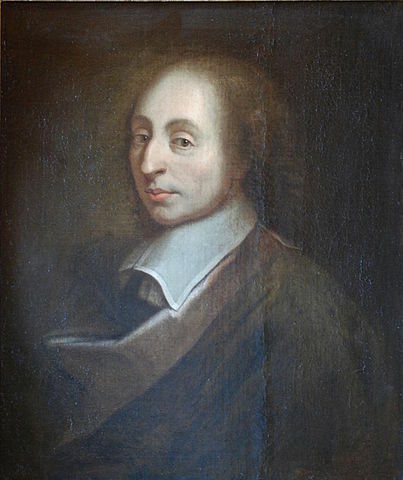 Pascal was a pioneer in the fields of hydrostatics and hydrodynamics, which deal with the subject of fluid mechanics under pressure. It is this characteristic of fluids held in containment that allows force applied to a fluid in one location to be delivered to another remote location. A well-known example would be the hydraulic brake system in a car. Mechanical pressure from the driver’s foot is transferred to the brake fluid through a master cylinder. This pressure is then instantly communicated to braking cylinders located at each wheel, causing them to apply mechanical force to press friction pads against a brake drum or rotor, thus slowing or stopping the vehicle. In the industrial world, the compact yet incredible power of hydraulic cylinders is a constant source of awe and amazement. Through the magic of fluid power leverage via Pascal’s Law, hydraulic cylinders are capable of generating tremendous lifting forces to move massively heavy structures. In order for such great force to be harnessed to do useful work, it must be kept fully under control. Force that is out of control is either useless or destructive. When it comes to controlling the movement of a powerful hydraulic cylinder, the piston/ram position must be continually monitored in near-real-time. The most popular device for measuring cylinder position is called a Magnetostrictive Linear Position Sensor. Sometimes these position sensors are called LDTs (Linear Displacement Transducer) or MDTs (Magnetostrictive Displacement Transducer). All of these terms refer to the same type of devices. To get an idea of the power and control that is feasible with modern hydraulic cylinders and integrated cylinder position sensors, have a look at this amazing video from ALE Heavylift. The topside of a giant offshore oil platform was jacked up 131 ft (40 m) and then skidded horizontally a distance of 295 ft (90 m) to place it on top of its supports. Imagine the incredible synchronization of speed, position, and operational sequencing needed to safely lift and place such a massive structure. For more information about magnetostrictive linear position sensors for hydraulic cylinders, visit the Balluff website at www.balluff.us. In a previous Sensortech post entitled “Hydraulic Cylinder Position Feedback“, we discussed the basic concept of hydraulic cylinder position feedback. In case you might have missed that post, here it is for an encore appearance. In a previous installment here on SENSORTECH, we explored the three M’s of linear position feedback application (Linear Feedback Sensors – The Three M’s). One of those three M’s stands for Motion Control. When we talk about motion control applications for industrial linear position sensors, we’re often referring to closed-loop servo-hydraulics. In these applications, the linear position sensor, which is usually installed into a hydraulic cylinder, plays a key role in the ability to accurately and reliably control the motion of very large, heavy loads. Nowhere is closed-loop servo hydraulics more prominently utilized than in primary wood processing – where raw logs are transformed into all manner of finished board lumber. Applications such as saws, edgers, planers, along with many more, rely heavily on closed-loop servo-hydraulics. In many cases, hydraulic actuators get the job done when other types -electric, pneumatic – simply can’t. If you’d like to get a look at some of these application, or to learn more about how linear positions sensors are used in the applications, a good place to start would be at an event where many of the machinery builders and suppliers gather in one place for a few days. Does such an event exist? (I hear you asking). Well of course it does! It just so happens this very thing will be taking place in Portland, OR in the middle of October 2014. If you would like to learn more about these interesting applications in general, and how linear position sensors are used in particular, you might want visit Balluff at the Timber Processing and Energy Expo. Click the link below for more information. Here on SensorTech, we frequently talk about the need for high performance, rugged, reliable position feedback in modern industrial applications. A recent article in Valve Magazine, entitled “The Case for Magnetostrictive” illustrates how linear feedback transducers using non-contact magnetostrictive technology help to improve the performance and reliability of valve actuators used in the petrochemical industry. It’s worth a read. See a variety of linear feedback transducers here. Illustration of Magnetostrictive Linear Displacement Transducer (MLDT) inserted into a gun-drilled cylinder. Much has been written here on SensorTech about the value of industrial networking in the machine automation realm. As the trend towards industrial networking continues to expand, we see more and more network-capable sensors coming to the fore. Linear position sensors are no exception. 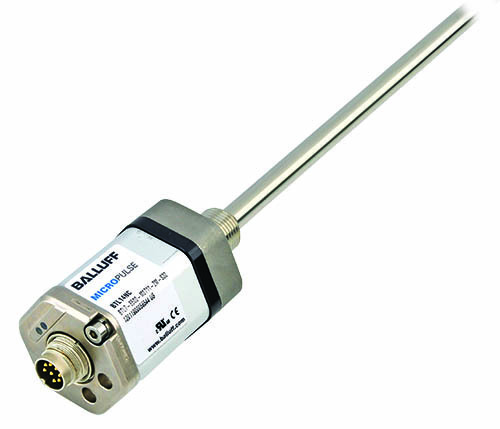 Network-connected linear position sensors take the concept of continuous, absolute linear position feedback a step or two forward by allowing the position sensor to be directly connected to the network, and also providing additional information in the form of sensor-level diagnostics. Two such examples of network-connected linear position sensors are the newly introduced Micropulse EtherCAT position transducers. 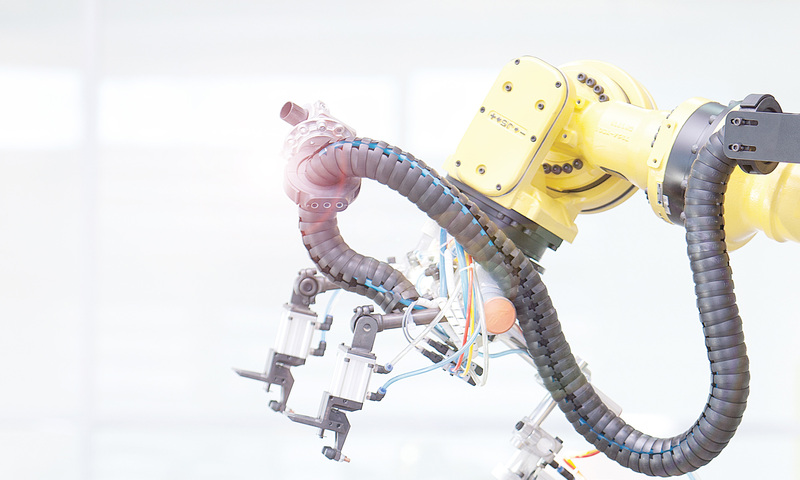 Available in two varieties, one for basic position monitoring, and one capable of closed-loop positioning tasks, the Micropulse EtherCAT transducer is a good example of the continuing evolution of basic sensors towards more “intelligent” network-capable sensors. For more information on industrial networking products, start here. I recently ran across an interesting article that explored some of the factors involved in selecting hydraulic cylinders. The article, entitled “3 Steps to Choosing the Right Hydraulic Cylinder” was very informative and helpful. But what if you need a “smart cylinder”, i.e. a cylinder that can provide absolute position feedback? Just as it’s important to select the proper cylinder to match the mechanical requirements of your application, it’s also important to select the right sensor to meet the electrical requirements. So, to that end, I’d like to piggyback on the cylinder selection article with this one, which will look at 3 steps to choosing the right in-cylinder position sensor. In particular, I’ll be talking about rod-type magnetostrictive linear position sensors that are designed to be installed into industrial hydraulic cylinders to provide absolute position feedback. Before we get to step 1, let’s talk about the cylinder itself. So-called smart cylinders are typically prepped by the cylinder manufacturer to accept a magnetostrictive position transducer. Prepping consists of gun drilling the cylinder rod, machining a port on the endcap, and installing a magnet on the face of the piston. For more information about smart cylinders, consult with your cylinder supplier. The stroke length of the position sensor usually matches the stroke length of the cylinder. When specifying a position sensor, you usually call out the working electrical stroke. Although the overall physical length of the sensor is going to be longer than the working electrical stroke, this is usually not a concern because the cylinder manufacturer accounts for this added length when prepping the cylinder. Is Your Spidey Sense Tingling? The July 2011 issue of Hydraulics and Pneumatics magazine featured an interesting application story about how hydraulics systems were designed and used in the “Spiderman: Turn off the Dark” Broadway musical. The article describes some of the challenges faced by motion systems designers, and how those challenges were solved. One particularly challenging aspect of the hydraulic motion systems was the requirement that multiple hydraulically driven platforms had to be raised and lowered simultaneously. The motion of the platforms had to be very precisely controlled, making hydraulic component selection critical. In numerous types of analog position sensors, resolution is expressed in terms of bits, e.g, 8-bit, 12-bit, 16-bit, etc. But what does that really mean? In a previous entry, I discussed what I called Digitally Derived Analog Signals, which provides a basic overview of how Digital-to-Analog Converters (DAC’s) are used to generate analog sensor signals. You may recall from that entry that when someone says a sensor has “16-bit resolution”, what they really mean is that the sensor employs a 16-bit DAC, which is capable of processing 216 discrete values, and representing any one of those values as a corresponding analog signal. To help better understand what these binary numbers actually mean, I thought it might be helpful to provide a quick-reference chart showing the equivalent decimal values of numbers from 20 to 232. (click to enlarge)The values in bold represent some of the more commonly used DAC’s for industrial sensors. In a previous entry, I discussed how linear position sensors are used with hydraulic cylinders to provide continuous position feedback. While this is certainly one of the most common ways linear position sensors are used, there are many applications for linear position sensors that either don’t involve a hydraulic cylinder at all, or that involve a cylinder only indirectly.